Drawing on inspiration from Buddhism to Amy Winehouse, Chris Martin -lets the paintings make themselves- and creates bold abstract works that explore the unknowable psychological tendencies of art. His canvases are characterized by flat-yet-textured planes of saturated color, and... read full description below. 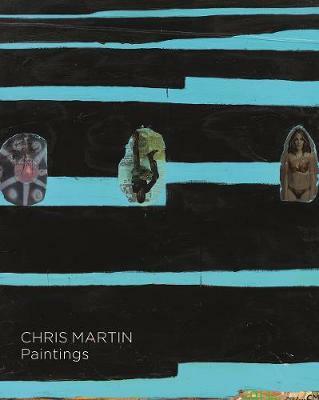 Drawing on inspiration from Buddhism to Amy Winehouse, Chris Martin -lets the paintings make themselves- and creates bold abstract works that explore the unknowable psychological tendencies of art. His canvases are characterized by flat-yet-textured planes of saturated color, and will often incorporate found materials and highly personal paper ephemera. Works such as Untitled (2013) demonstrate the influence of Pablo Picasso's collages, and his canvases' strong geometries also elaborate a self-proclaimed attachment to Piet Mondrian. Martin's practice came of age in 1980s New York, which saw the explosion of the East Village art scene, led by Keith Haring. This is the first internationally important monograph on the artist which collects essays by Glenn O'Brien, Nancy Princenthal, Trinie Dalton and Dan Nadel. Glenn O'Brien is an American writer, focusing largely on the subjects of art, music and fashion.